Professionals from all over the world attend to network, learn, advance their organizational mission and to participate in the largest wind energy exhibition in the Western Hemisphere. More major product announcements and exciting releases happen here, than at any other wind energy industry event. 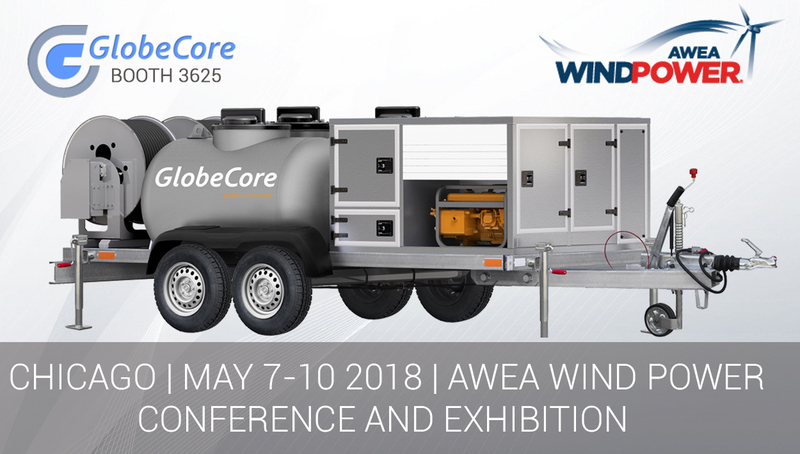 GlobeCore and GC Technologies will also have a booth in Chicago May 7-10 for the AWEA Wind Power Conference & Exhibition. We are excited about displaying our newest unit, the “Wind Turbine Gear Oil Changer”.